The Bubble Map is a popular tool for visualization a data set which is widely used in economics, medicine, software engineering, architecture, and many other fields. Each bubble on the Bubble Map is characterized by coordinates, color and size. ConceptDraw DIAGRAM diagramming and vector drawing software extended with Bubble Diagrams Solution from the "Diagrams" Area is a powerful Bubble Map Maker. Bubble Diagrams Solution provides a Bubble Diagrams Library with variety of predesigned vector shapes. Look at these ready-to use bubbles, they are so different! Thanks to them the Bubble Map creating will take only a few minutes. 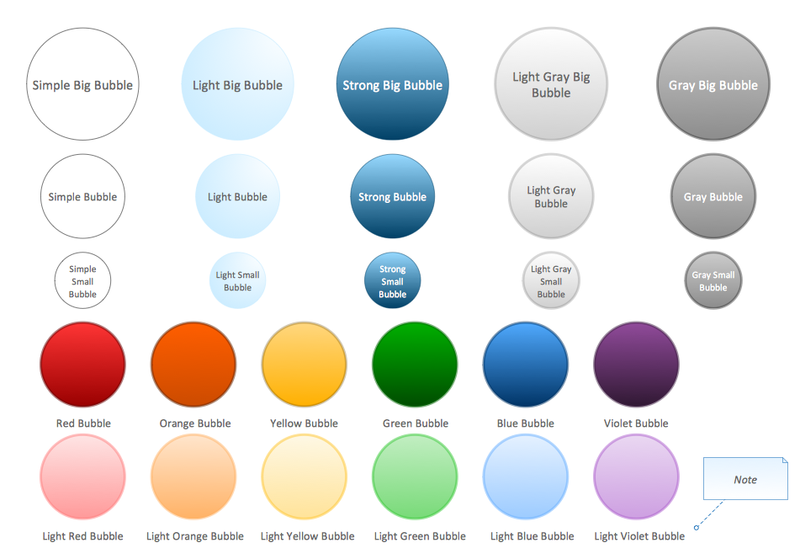 ConceptDraw DIAGRAM is excellent Bubble Map Maker! Another way of drawing a Bubble Map in ConceptDraw DIAGRAM is to use as the base the predesigned template or sample. The whole collection of them is available from ConceptDraw STORE. Choose that which meets your requirements and change it for your needs. 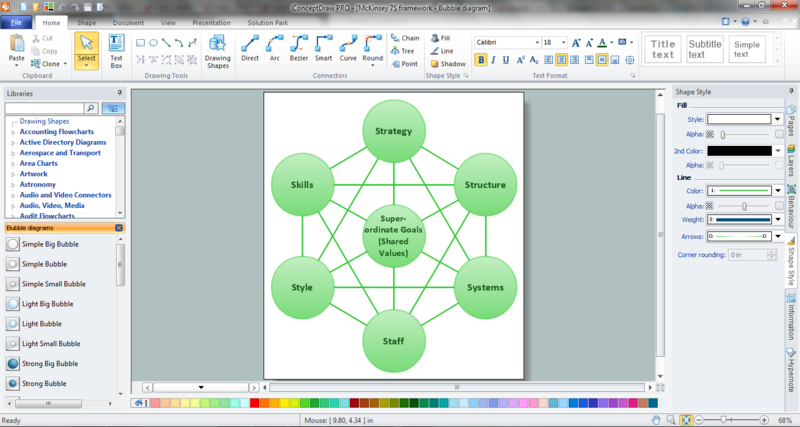 ConceptDraw DIAGRAM v12 diagramming and vector drawing software extended with Bubble Diagrams Solution from the "What is a Diagram" Area is a powerful Bubble Chart Maker. 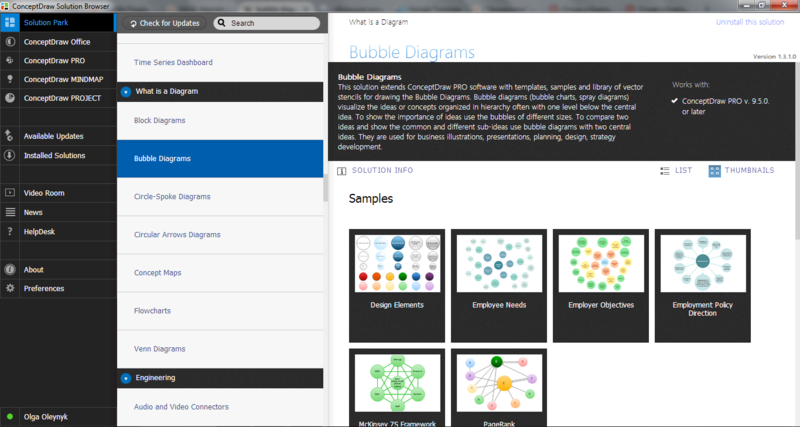 Bubble diagrams solution extends ConceptDraw DIAGRAM v12 software with templates, Using ConceptDraw Connectors, you can make a bubble chart in moments. Using ConceptDraw you will be able to make a bubble chart from the ready ConceptDraw library objects or make your own objects. The created diagram can represent ideas organization, in brainstorming processes, by teachers for explaining difficult ideas or for presentations.